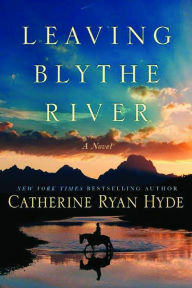 Catherine Ryan Hyde is an excellent writer. She sets vivid scenes and her characters are well-drawn. 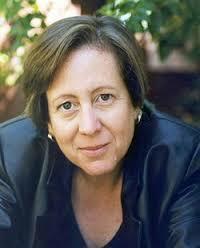 Her work, which I consider to be literary fiction, always delves into the human psyche in interesting ways. So, maybe it’s my failing because while I appreciated the care and craft that went into this book, and enjoyed the supporting characters in the novel (especially crotchety old Jone) I found that I had a difficult time connecting to this novel in any meaningful way. This surprised me, because when I read and reviewed The Language of Hoofbeats a couple of years ago, I loved it. The story in this novel is fairly typical – a city boy watches his parents’ marriage dissolve in front of his eyes, and after his parents finally split, he’s sent off to live with his father, in a rented A-frame on the fringes of a national part, while his mother is traveling. Ethan, the boy in question, is our POV character, but I had a problem sympathizing with him. Maybe I just don’t ‘get’ teenage boys, or maybe I just didn’t like the character, but even though he went through some rough issues – getting mugged, for example – I felt like a lot of what happened was because he made low-percentage choices way too frequently. I wanted him to blow up at his father, and at least communicate, and he never really did, and I think, because I am the kind of person who blows up (but then I’m done, I don’t let things linger) I couldn’t related. Then there are his parents… his mother never really felt like a fully-realized character to me, but then, she’s not really a main character, more like a means to an end. It’s clear that Ethan recognizes that his mother loves him. But there was just something off about him. Ethan’s father, I wanted to shake until his brain rattled. 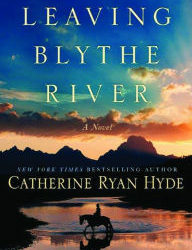 With this character, author Hyde did her job too well – creating a character who was so self-entitled and oblivious that it provoked a strong reaction from me, but I couldn’t feel sorry for him, even after he disappeared. I did, at some point, want to give poor Ethan a hug. Bottom line: There are some great character moments in this novel, and the story is well written and well constructed, but I had a hard time connecting with it. Goes well with chicken stew.